National Industrial (Activity) Classification namely NIC plays a very vital role in maintaining standards of data collection, processing and presentation besides its wide range of applications in policy formulation and policy analysis. 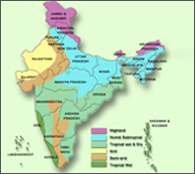 This classification is used in all types of censuses and sample surveys conducted in India. The Central Statistical Organisation (CSO) in the Ministry of Statistics and Programme Implementation is the nodal authority for bringing out the National Industrial Classification in India. The first classification was NIC-62 followed by NIC-70, NIC-87 and NIC-98,NIC-2004. The latest and sixth Industrial Classification namely NIC-2008 has been developed and released by CSO.